Chats Around the Copier with Ben Tighe · ABS. A Better Way. In this weeks ‘Chats around the copier’, Ben Tighe, managed print specialist and chair of trustees with ABS UK and the ABS Foundation respectively, talks about our fascinating new project in Uganda and the recent appointment of two new trustees. At the beginning of 2018, ABS Foundation trustee John Lees travelled to Uganda and Rwanda to carry out research on locally run, community projects. Following several meetings and discussions with various charities it was decided that the ABS Foundation would commit funds to Support Disabled Children Ggaba, Uganda. The funds will support physiotherapy treatment for disabled children for an initial three-year period. Right now, more than 20 children are assigned to the project with various physical and mental disabilities ranging from hearing impairments to cerebral palsy. “The new project we have chosen to support helps children with disabilities in a poverty stricken part of Africa. We are delighted to be working in such an amazing part of the world and we have plans to send our own staff out to Uganda to see the work being done at this amazing centre for disabled children”. 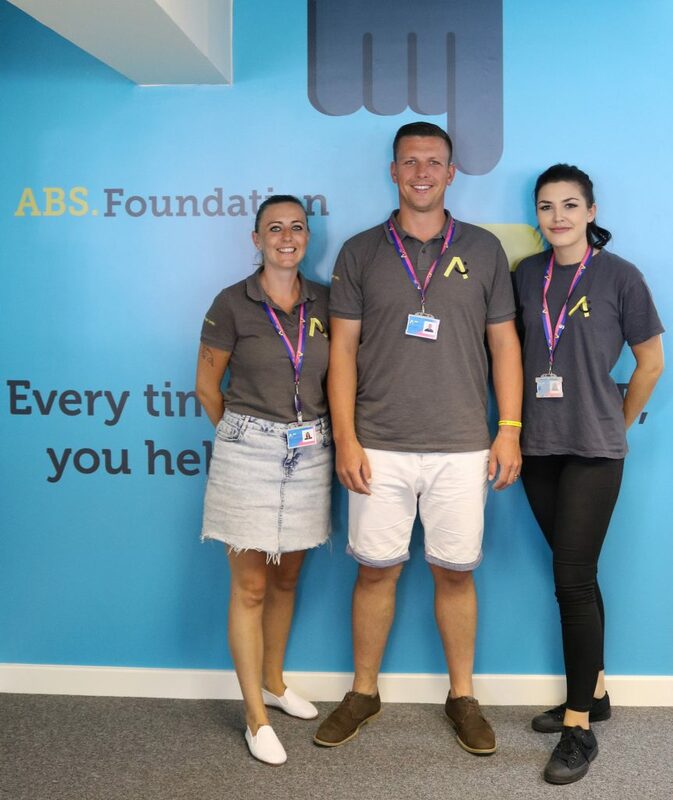 Following an internal recruitment process, the ABS Foundation are delighted to announce the appointment of two new trustees, Stacey Langley and Hannah Burgin. Stacey and Hannah both play pivotal roles in the admin and accounts department at ABS UK.